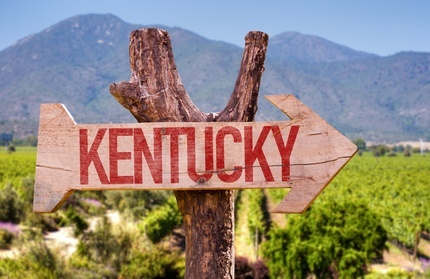 Kentucky House Bill 440, which became effective June 24, 2015, has changed the way merger certificates are filed in Kentucky - both for corporations and limited liability companies. This article looks at some of the key highlights of the changes to the statute affecting mergers and provides some helpful tips for avoiding rejection. The plan may also include amendments that may be made to the Certificate of Incorporation of the survivor and any other pertinent provisions. The limited liability company laws relating to mergers have been similarly changed. Changes to the Articles of Merger: In order to ensure that important information formerly covered by the plan of merger becomes part of the public record, changes have been made to the Articles of Merger requirements. The table below outlines what was required previously and what is required now for corporations. The statutes for LLCs were similarly changed. As you can see the Articles of Merger essentially incorporates the key information that used to be covered by the plan of merger. The main advantage of this change is that other pertinent provisions that the companies may wish to include in the plan of merger no longer become public record. Pre-Approval: Kentucky will review and pre-approve merger certificates that are faxed or mailed. Because it can often be critical to ensure the merger is filed on the day of closing, this can be a valuable precaution. While Kentucky usually processes filings the same day they are received, a rejected filing does not maintain the original submission date. Getting the certificate approved in advance helps ensure that the filing is accepted the first time and the desired file date is received. County Recording Required: After filing, make sure that Kentucky county recording requirements are met. The Articles of Merger must be recorded at the county clerk for the registered office of each constituent. While the merger is effective upon filing with the Secretary of State, to stay in compliance with Kentucky statutes, a copy of the filed document must also be submitted to the county recording office for filing. With these new changes, Kentucky joins many other states that do not require the plan of merger to be filed. Complying with the new requirements and following our helpful filing tips can help ensure your Kentucky merger filing goes smoothly.